These Green Cleaners Will Leave Your Floors Clean, Spotless, & Scuff-Free! 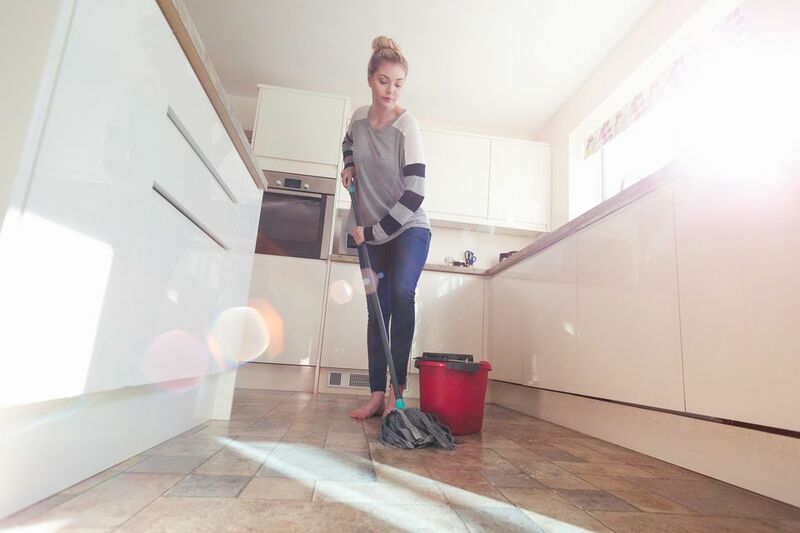 You can easily mix up your own cleaning solutions with water and vinegar (great for eliminating build-up) or Castile soap (great for general floor cleaning), or try one of the ready-made, floor cleaners described below. All of them easily biodegrade and do a great job cleaning without any toxic ingredients, petroleum solvents, or "hidden" ingredients, such as Triclosan. 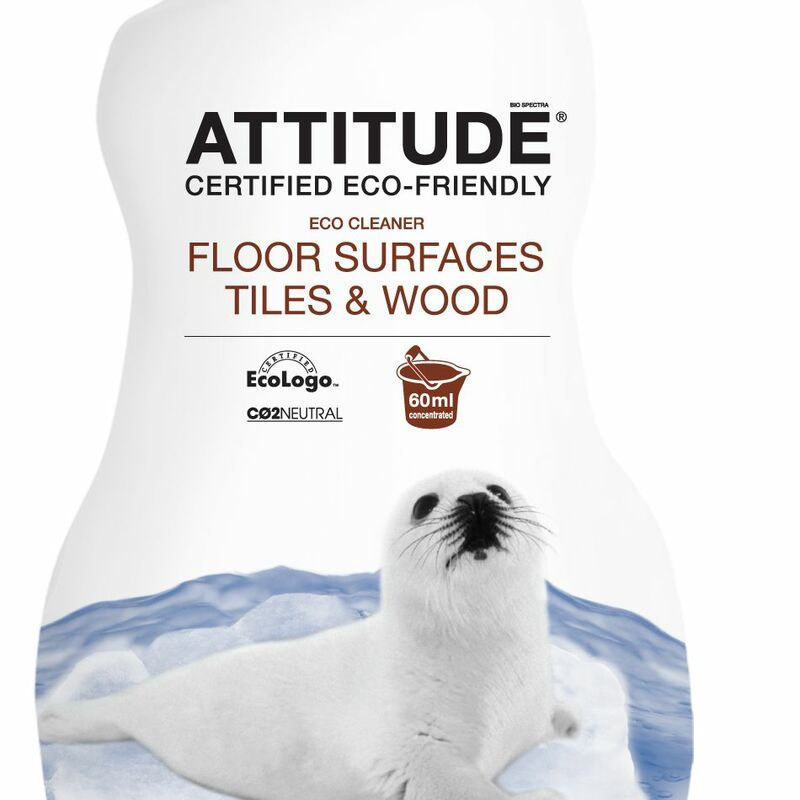 Give your wood and water-safe floors some attitude and show 'em who's boss with this eco-friendly, vegan floor cleaner certified by EcoLogo, an Environment Canada Program. It's fresh, natural tea tree and lime scent will help zap any bacteria that may be lurking on your floors and its gentle formula won't leave any streaking. Plus, Attitude makes it's products "carbon neutral," meaning no carbon footprint is left behind! This non-toxic, botanically-based floor cleaner, which is certified by the U.S. EPA's "Design for the Environment Program" and the Natural Products Association (NPA), can tackle anything from stone to tile to wood and it won't leave any residue behind. Just a little bit of the super concentrated, all-natural formula is all you need in a gallon of water to mop away to your heart's content! Get floored with this all-natural, gentle floor cleaner with an uplifting, light citrus-mint scent! It can be used on every type of floor, including of course your beloved hardwood. With no solvents, alcohols, or ethers, it won't eat slowly away at your floor finish like some other cleaners might. It's also available in large, industrial sizes! Get some help from a new friend, Dave from Eco-Me, with cleaning your floors in an environmentally friendly way! Simply mix this all-natural concentrated cleaner, which is Leaping Bunny certified, with water to green clean your wood and other hard-surface floors, such as sealed marble! Tred more gently on the earth, but don't worry about being too hard on your floors, because this cleaner made from plant-based, replenishable ingredients won't strip the wax or sealants off of your wood or laminate floors. Simply spray and mop away. No rinsing required! Get your floor cleaning methodology down to a "T" with this eco-friendly, non-toxic floor cleaner that easily biodegrades and contains no wax. It has a pleasant almond scent and it's a breeze to use. Simply squirt it on and mop it off! Obtain super clean floors, naturally, with this lightly citrus-scented, plant- and enzyme-based formula that cleans any type of washable flooring from wood to stone. It helps break down any filmy residue you might already have on your floor and the enzymes are great at combating pet odors. Spray it on, damp mop off, and voilà you're done! Cleaning your floors is a simple and green affair with this earth friendly, woodsy scented cleaner that you just spray on finished wood, laminate, porcelain tile, slate, linoleum, etc., and damp mop up. It's 100% naturally sourced, biodegradable formula, which is Green Seal certified, takes care of acidic and alkaline soils as well as oily residues.